This guidebook from the USFWS gives advice and best management practices for “using beavers to improve ecosystem function.” The guidebook is divided into sections discussing beaver ecology and beaver restoration and management. This pamphlet provides information on the importance of beavers in wetland habitats. It also gives the readers information on how beavers and humans can co-exist successfully and ways to control beaver populations. This guide is aimed at helping landowners learn more about the benefits of beavers while also providing solutions to mitigate flooding problems that beavers may cause. It also provides a flow chart to help landowners decide how best to co-exist with beavers. 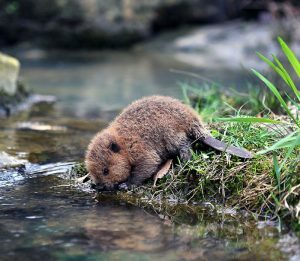 The NWF has published a blog describing the importance of restoring beaver populations and their habitat throughout the West, and highlights some of the projects that the NWF has been involved in that are focused on beaver restoration in Montana. 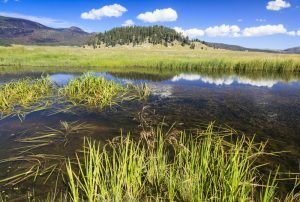 This pamphlet describes the project undertaken by the NM Wetlands Program which examined the impacts that restoring beaver habitat and wetlands had on adapting to climate change. Results are given and ways to use the data collected from the project in developing wetland restoration and protection plans. This is a publication by the NRCS intended to provide practitioners with recent technical information pertaining to wetland management. It is comprised of individual papers that are continually updated with the most recent technical information available. This guide provides examples of riparian restoration techniques used by Bill Zeedyk’s Ecological Consulting firm. 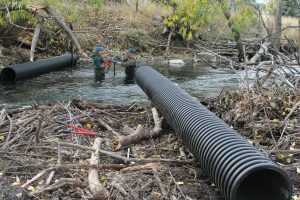 It describes procedures for restoration as well as detailed images and descriptions of structure types and locations used in riparian restoration projects. 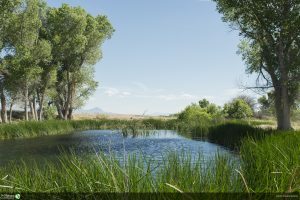 This page gives tons of resources to all things wetlands. Links to other organizations, federal agencies, state agencies, and other publications/online resources for wetland scientists. A website from NMDGF that describes the importance of wetlands and the importance of beavers as a keystone species in the ecosystem. It also discusses a beaver education project funded by NMDGF’s Share with Wildlife program.